Spiralizing has become trendy, but it takes some special equipment to get the job done. 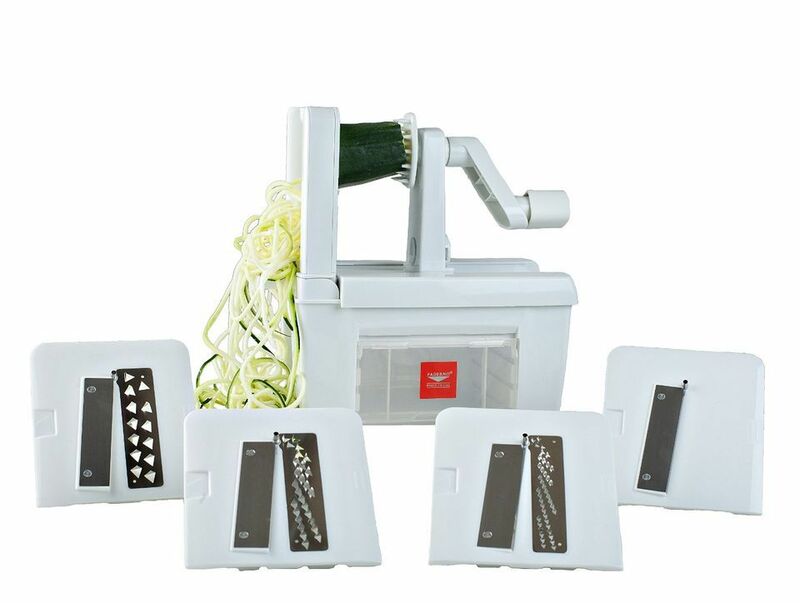 This hand-crank spiralizer will make short work of zucchini for pasta-like recipes, potatoes to make nests, or carrots for salad. The four-blade pro model can make three different thicknesses of spiral cuts as well as wide ribbons. The blades store in a covered compartment, so they won’t need to be washed if they’re not used. And it’s just plain fun to use. Take a peek at some of the other best spiralizers you can buy. Making yogurt at home means you can control the ingredients and include only the things you want. This machine makes the process easy and foolproof. Not only does this keep the yogurt at the proper temperature during fermenting, but it also cools the yogurt when it’s done. This holds about 1 1/5 quarts of milk for yogurt making, so it’s plenty for a family or someone who really just loves yogurt. Take a peek at some of the other best yogurt makers you can buy. This personal blender is perfect for so many tasks—grinding coffee, chopping nuts, making smoothies, blending drinks, mixing pancake batter, making salad dressing, and more. This set includes shaker steamer tops that can be used for steaming foods in the microwave, along with mugs so you can blend right in the mug and then serve. It’s a great set for singles, families, and for entertaining as well. 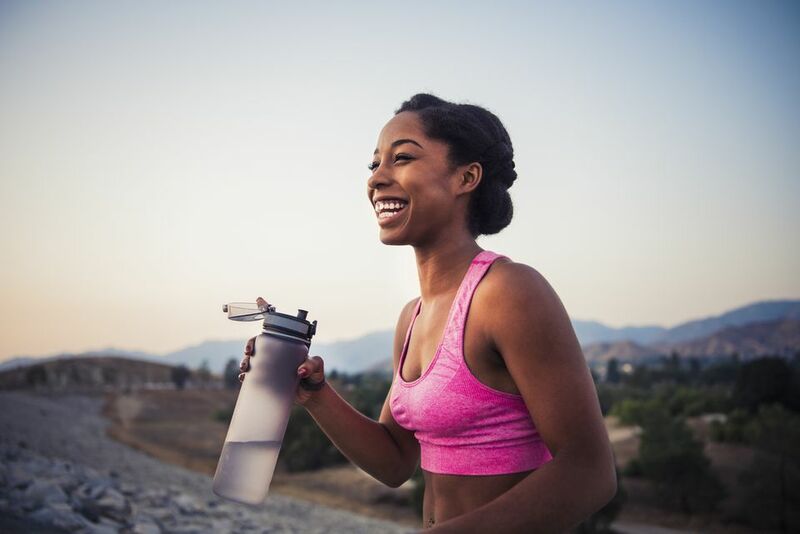 Take a peek at some of the other best personal blenders you can buy. Sprouting seeds isn’t complicated, but it’s easier with this sprouting kit. It includes a one-quart jar with a strainer lid for ease in rinsing and straining the new seeds and the growing sprouts. The jar is slightly square-shaped rather than round, so it’s less prone to rolling when it’s set on its side during the sprouting process. The kit also includes 2 ounces of certified organic mixed sprout seeds to get you started. Since you barely need to cover the bottom of the jar with seeds to yield a full jar, this is enough for several batches of sprouts. Sprouting instruction are on the label, which you’ll probably want to peel off if you want the sprouts to get more sunlight, but once you’ve sprouted your first batch, you probably won’t need instructions any more. If someone is serious about juicing, this is the machine of their dreams. It can not only juice fruits and vegetables, but it can also handle wheatgrass and other greens. Besides juicing, it can grind peanut butter, make baby food, grind coffee and spices, mince herbs and garlic, and extrude pasta. Since this operates at slow speeds, it doesn’t overheat the fruits and vegetables, and the two stages of juicing means that it extracts more juice and produces a much drier pulp. This is built to last, so it’s great folks who making juicing part of their daily lifestyle. Take a peek at some of the other best juicers you can buy. Whether it’s for controlling diet or for weighing baking ingredients for better results, this scale can handle the task. It can weigh up to 15 pounds, which is more than most folks will require on a regular basis, and is precise to 1 gram or .05 ounce. The display is large and it lights up for easy reading, it can display results in ounces, pounds, grams, or kilograms, so it will work for any recipe found in books or online. Take a peek at some of the other best kitchen scales you can buy. If you know someone who loves kombucha, this kit will get them making their own. It includes a large jar for fermenting, a temperature gauge, pH strips to test the mix, and all the required ingredients. By the time the ingredients are used, the new kombucha-maker will probably be ready to start experimenting with their own flavor combinations, and have a fun new hobby brewing in the jar. Matcha tea is quite different that typical loose-leaf or bagged teas, and making it requires some special equipment. This kit includes the traditional bowl and whisk, along with a spoon, chasaku (the spoon used to measure matcha), tray, and holder for the whisk. Add some matcha tea for a lovely gift for any tea lover, or for people who like traditions. It’s also pretty enough to keep on display. If someone is serious about citrus, this commercial juicer can handle vast quantities of oranges or other citrus fruits for drinking, cooking, baking, or adding to smoothies. This is the sort of press you might find at a deli that makes fresh-squeezed lemonade, so it’s built to last, whether you’re squeezing a quart of juice at a time for breakfast on the weekend, or a glass a day before work on weekdays. It would also be fun for the bar, making cocktails or mocktails with fresh juices. If you know someone who thinks that store-bought ground meat is of questionable quality, or who wants to grind their own mix of meats, this hand-crank grinder will do the job. It’s made from stainless steel, so it will resist rust and won’t chip or stain. It includes plates for fine or coarse grinding, and clamps firmly onto a table or countertop for stability. If sausage making is also on the table, it includes three different sized stuffing tubes for small, medium, and large sausages. Food mills are often used for separating seeds and skin from juice and pulp when making jams, jellies, tomato sauce, or similar foods. It can also be used for ricing potatoes or similar foods. This mill has three different plates with small, medium, and large holes, so you can decide how fine or chunky or seedy you want the finished product to be. This would be great for anyone who wants to try their hand at jams or jellies or who wants to make tomato sauce from fresh tomatoes. This can also be used for making spaetzle or similar noodles. Got tea? This teapot has a stainless steel filter basket that holds the tea during steeping, and a press—much like a French press for coffee—that compresses the tea right in the pot when it’s done steeping. This looks pretty at the table and is perfectly functional without silly frills that distract from making that perfect pot of tea. Anyone who loves loose-leaf tea would appreciate this teapot. Traditionally used for steaming traditional Chinese foods, this steamer can also be used for steaming vegetables, fish, or any other foods that would benefit from gentle steaming. The trays stack so more foods can be cooked at once, or different foods can steam (and be served from) different trays. Additional sets can be purchased to add extra steaming space. The steamer containers can also be used as small baskets for food storage.